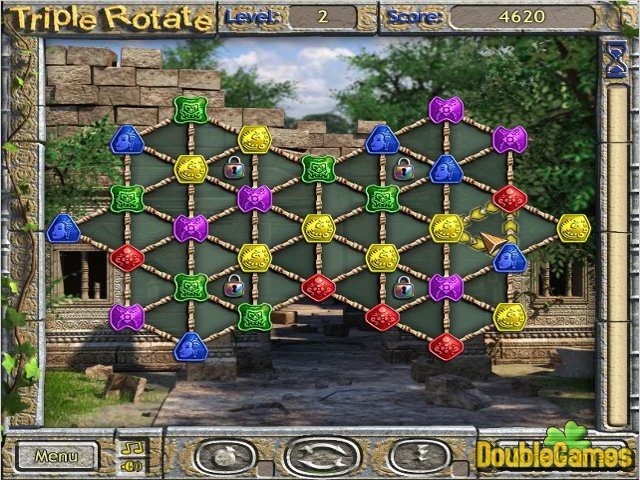 Triple Rotate is a baffling puzzle, which combines unique gameplay and eye-catching graphics. You have to not just click on the identical figures but to rotate them in order to transfer a triangle they are situated on into gold. You must change all the playing field into gold before you enter the next level. 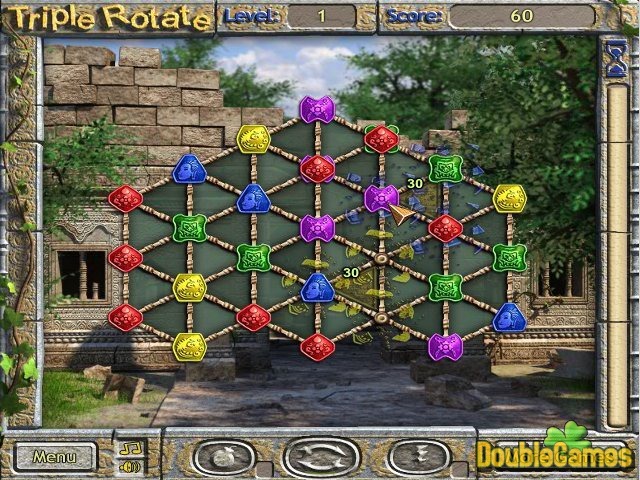 In the course of the game you get special bonuses, which are Shuffle, Bomb and Lightening. They will help you further while passing. That's enough to read, it's the time to start playing Triple Rotate online! 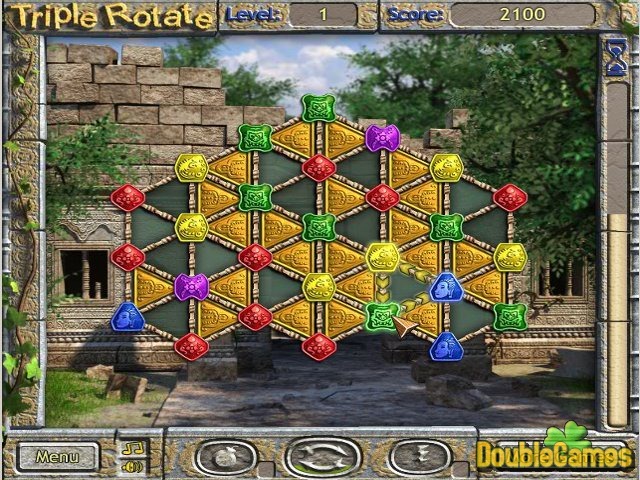 Title - Triple Rotate Online Game Description - Release your tension with Triple Rotate, a Puzzle game projected by GameGlade.com. Rotate the multicolored figures to transfer the triangles into gold!